Dr. M. Byron Jennings is a native Tulsan who graduated from Jenks High School and received a bachelor’s degree in history from the University of Oklahoma. He completed medical school at the University of Oklahoma College of Medicine, followed by residency training in internal medicine at the University of Texas Southwestern Medical Center in Dallas, Texas. He then completed a fellowship in hematology and medical oncology at the University of Southern California in Los Angeles, California. 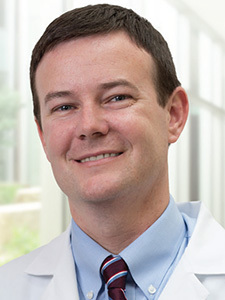 Dr. Jennings is certified by MD Anderson Cancer Network®, a program of MD Anderson Cancer Center.